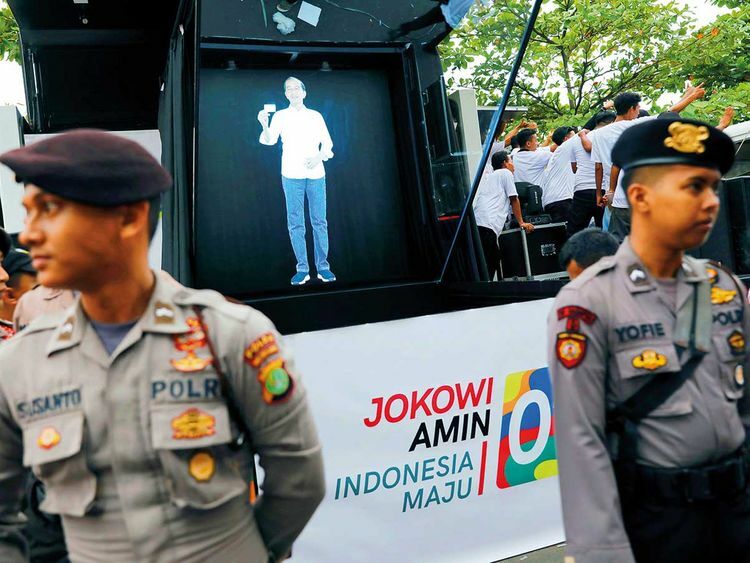 KARAWANG, Indonesia: A crowd of villagers cheers as a holographic image of Indonesia’s President Joko Widodo appears at a campaign rally outside the capital, Jakarta. “This hologram technology is one hundred per cent made by our people, this is the work of our (younger generation).” Wearing his signature casual white shirt, jeans and sneakers, the holographic Widodo promotes his plan to tackle Indonesia’s education and employment issues, in hopes of appealing to rural and young voters. A housewife named Mariani said she would vote for Widodo.